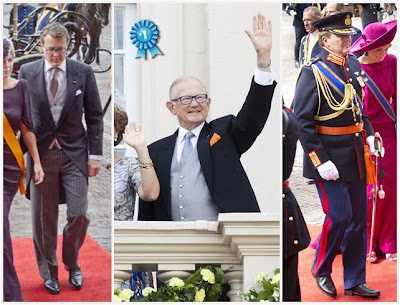 It’s Prinsjesdag time! That’s the annual Budget Day in the Netherlands, where Queen Beatrix visits Parliament and gives a speech from the throne, and she and her kin bust out their gloriously old fashioned daywear and a little dose of day bling. It's morning coat or uniform for the men, and long dresses plus orders and hats for the royal ladies (no tiaras, because we're still in the daytime) - a once popular royal dress code that faded away decades ago, but is still kicking once a year in the Netherlands. Bless. I simply don’t know anyone else that would wear a big ol’ lace dress and top it with a feather duster. Nor do I know anyone else that could pull it off, so props to the Queen Bea. Out of them all, Laurentien’s dress is the one I like the best. (I know, I can't believe it either.) The color is the perfect background for her riband, and the cut is simple but effective with its sleeve detail and asymmetrical skirt fabrics. And it does have that little touch of Laurentien quirk in the back, with the connecting sleeves. I could do without the flower on her head positioned so as to act like a pirate’s eye patch in certain photos, but you know. You win some, you lose some. What can you say? 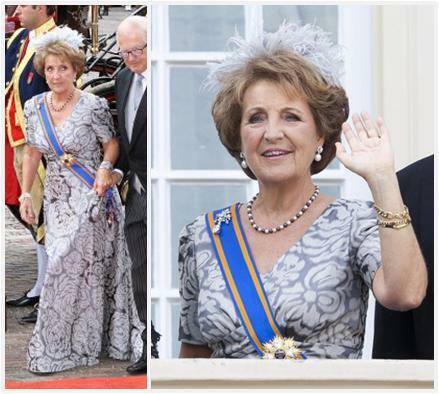 Margriet – Queen Beatrix’s sister – is well turned out as always. Not loud, not attention grabbing, just classy. First of all, it must be said that it is practically impossible for the men to go wrong with this dress code, and they all look dashing as can be. 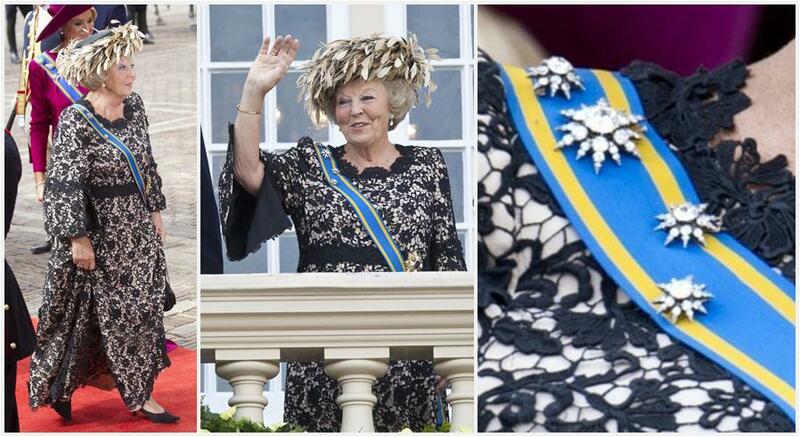 Despite my weakness for a good uniform, I've got to give this one to Margriet's husband, Professor Pieter. He's got a little orange pocket square! Adorable. Who’s your Prinsjesdag favorite this year?